Every Friday, Jonathan Mildenhall has a conversation with himself about whether he’s treated his co-workers and employees with kindness and decency over the past week. Mildenhall, a marketing and business strategy expert who has held executive positions at Coca-Cola and Airbnb, attributes this sense of empathy to growing up working-class in Northern England. Though money was scarce, his mother taught him and his four brothers the value of a strong character. “From a really early age, I realized that one of my focuses was to try and be the best human being that I can possibly be,” said Mildenhall. It’s this quality — humanity — that has inspired his 30-year career in business, the highlights of which include serving as Coca-Cola’s vice president of global advertising strategy and content excellence, and then chief marketing officer of Airbnb, a company he left last year to launch his own consultancy, TwentyFirstCenturyBrand. 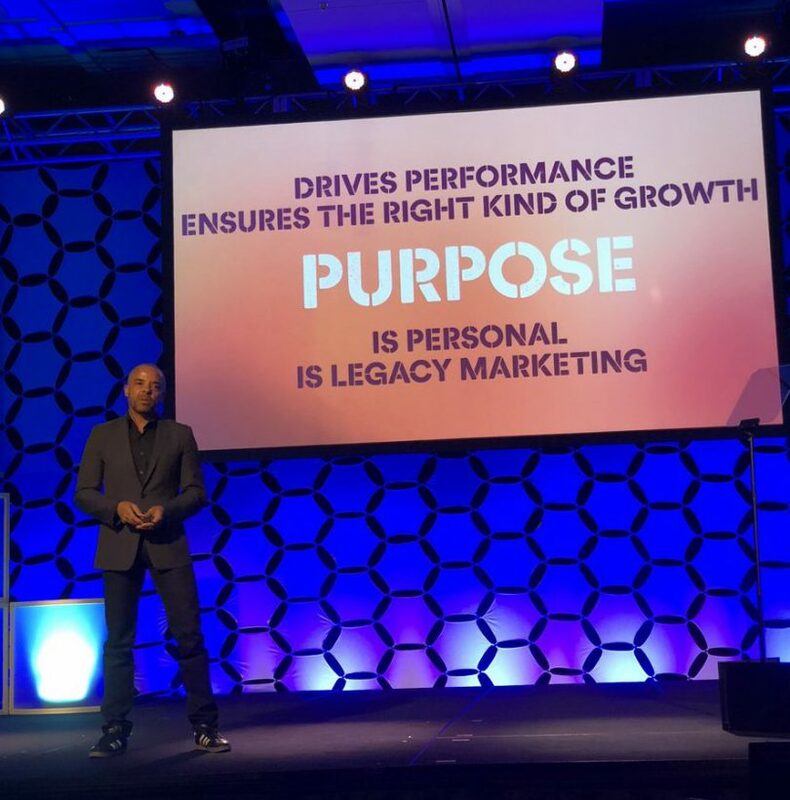 During his 45-minute General Session, titled “The Power of Purpose,” Mildenhall offered examples of purpose that helped drive the many campaigns he has worked on. However, before sharing these success stories, he acknowledged the invaluable role of the communications function. “Every single creative idea that I put out into the world I did so with my PR partners,” he said. “I do genuinely believe that if a business gives me $1 to invest in marketing, I have to turn that dollar into a $10 conversation. 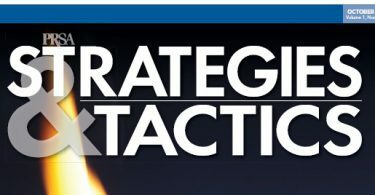 The only way I can do that is if I’ve got brilliant strategic operational and creative relationships with my PR people. At Coca-Cola, Mildenhall worked with a $1.2 billion budget. At Airbnb, the entire global marketing budget was $25 million. He said that his co-workers at Coca-Cola thought he was crazy for joining the fairly unknown brand. However, he was taken by the ambitions of Airbnb’s founders, Brian Chesky, Joe Gebbia and Nathan Blecharczyk. They described their aim for the company not as ambitious but historic — the creation of a super-brand on the level of Coca-Cola in the 1980s, Nike in the 1990s and Apple in the 2000s. Among the many success stories that he shared was a brand partnership in 2016 with the Art Institute of Chicago for an exhibit about Vincent van Gogh’s bedroom paintings. The two teamed up to create a physical version of van Gogh’s famous bedroom in Arles, France. Through Airbnb’s platform, people could book a stay in the full-scale recreation. It was a selfie phenomenon on social media. “Van Gogh BnB” became a global sensation, receiving media coverage in more than 100 countries while also generating intense local interest in the exhibit — and the museum. Brand partnerships that create a unique experience all parties can celebrate are the “holy grail of marketing when you don’t have a lot of money,” Mildenhall said of the campaign that cost $100,000. This and other creative marketing campaigns involving Beyoncé, the Oscars and Caitlin Jenner helped grow the Airbnb brand during Mildenhall’s three years with the company. How much did the brand grow? In 2014, Airbnb booked 36 million nights; in 2017, 190 million nights. In 2014, they had 18 million guest check-ins; in 2017, 70 million. Lastly, Airbnb’s valuation in 2014 was $1 billion; in 2017, it was $31 billion. After discussing how he helped companies find and share their purpose, Mildenhall implored attendees to seek out their own, and emphasized how a strong sense of purpose can help fuel any team or company. “What I’d really love you all to do when you’re on the plane home is to think about what your purpose might be,” he said. “I want you to think about how you can summarize your purpose into two or three values that you feel will become an editing filter for the type of work you do and, most important, the way you show up as a human being. John Elsasser is the publications director at PRSA. This is his 24th PRSA Conference. 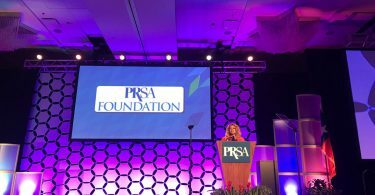 Question of the Month: What Advice Would You Give a First-Timer at PRSA’s ICON?